It’s Throwback Thursday so let’s go back through Upper Deck’s trading card history and come up with a fun giveaway. 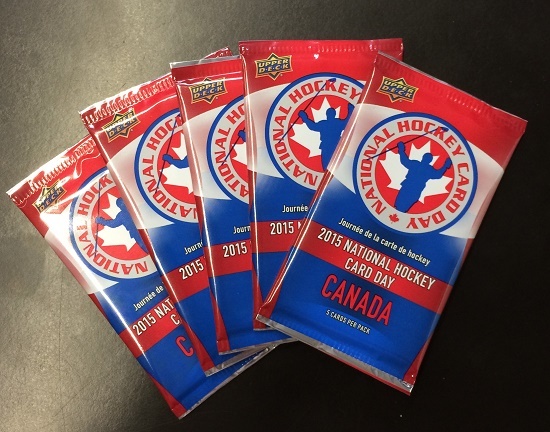 This weekend is National Hockey Card Day in Canada and we couldn’t be more excited to kick off this year’s events! We started the promotion back in 2009-10 and it is becoming more popular each year. 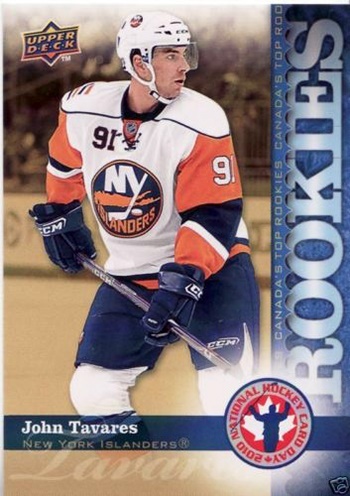 In 2009-10 we had an awesome rookie card in the set of New York Islanders’ John Tavares, so let’s put up a throwback card and see if our fans can come up with some great captions for the card! Please share your comical caption to this card for a lucky fan’s opportunity to score 5 packs of this year’s National Hockey Card Day set! You have until Friday morning, February 13th at 8:00 a.m. PTto post your caption before this promotion is closed. 5 packs of National Hockey Card Day Canada Packs! Sheesh those Captain Highliner jerseys are awful. I’m glad I’ll never have to wear those! I’m doing my best Youngblood impression, Go Mustang’s!! Is that Bigfoot back there or Zdeno Chara? Leaving all you cellar dwellers behind, we’re heading to the playoffs!!! What’s all this talk about Johnny Hockey? Since when did goalies wear helmets? NOW WHAT DO YOU HAVE TO SAY ABOUT THE ISLANDERS…..
Do you ever get the feeling someone is following you. I do all the time. Are you looking at me? Are YOU looking at me? I’m the only one here, so you must be looking at me! I call this look “BLUE STEEL”! Congrats to Thomas Y.! Your witty comments have scored you 5 packs of NHCD Canada cards! Thank you to everyone for participating and we look forward to seeing your comments again soon. Matt Moulson where are you buddy? maybe we will trade and get you back! !